Hello, everyone!! 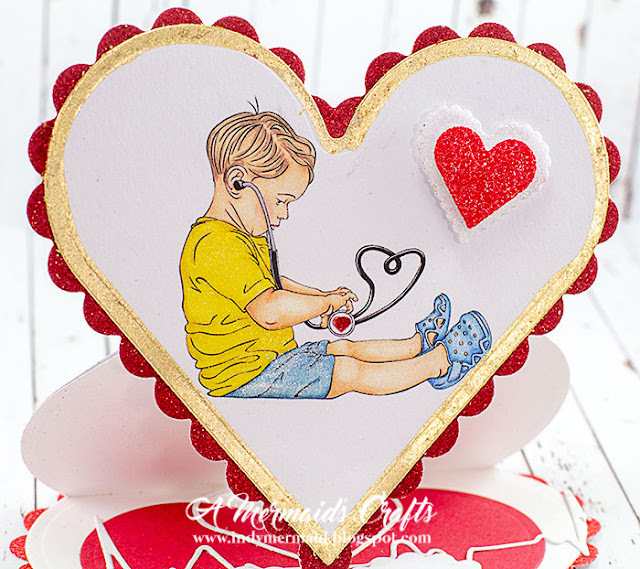 Lisa here to share a project with you featuring the new Doctor at Heart DIGI3152 stamp set. I used Spellbinders Hearts and Scalloped Hearts to make the heart easel card. 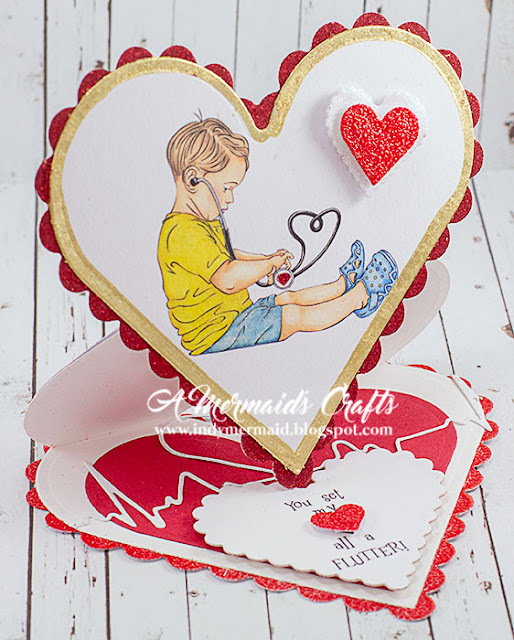 The scalloped heart on the base was covered with Nuvo Glue Pen Large and then heat embossed with Red Apple. 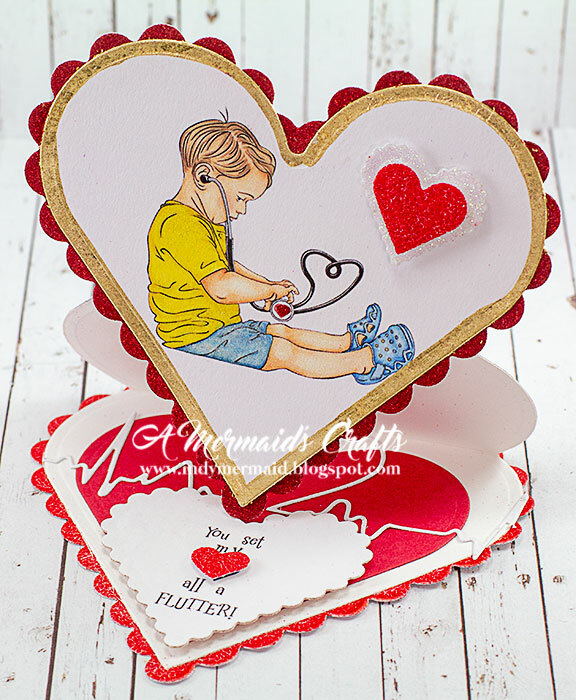 Using a Super-Adhesive Sheets for the top heart, the scalloped edges were covered with Gypsy Red glitter. The edge of the heart was brushed with a Nuvo Glue Pen Large and then Nuvo Gilding Flakes Radiant Gold were applied. His shirt, shorts and shoes were brushed with a Nuvo Aqua Shimmer Glitter Gloss Pen. Using a Nuvo Smooth Precision Glue Pen, I gave the heart on the stethoscope sparkle with Gypsy Red glitter. 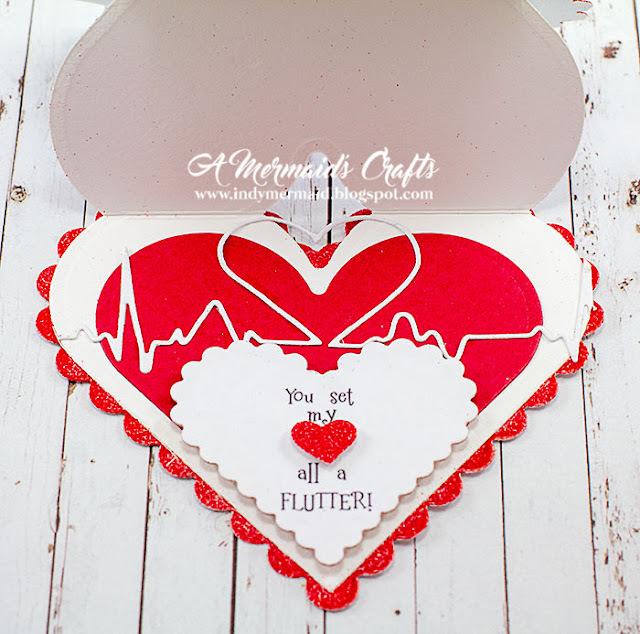 The added hearts were covered with Cloud Nine on the base and Gypsy Red glitter on the top. For more pictures of this project, please visit my blog, A Mermaid's Crafts. Also, we'd love for you to participate in our monthly challenges on our Facebook Page and Challenge Blog. Thanks so much for stopping by!! 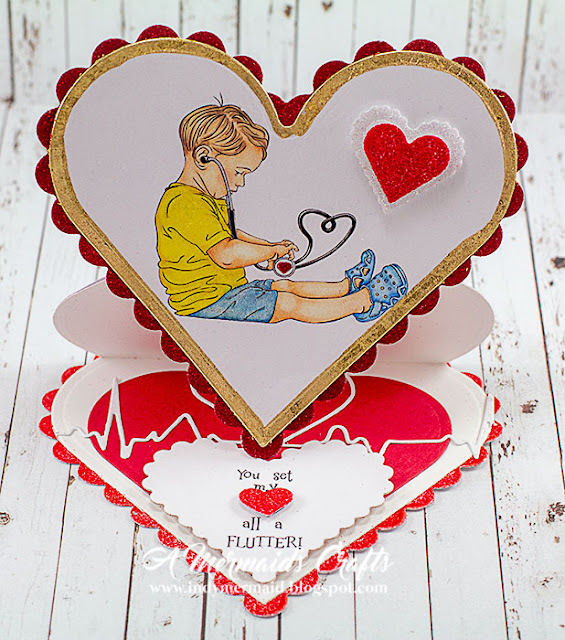 OMGOSH.. look at how darling your card is! LOVE the Heart Easel card and that precious image! Beautiful design!